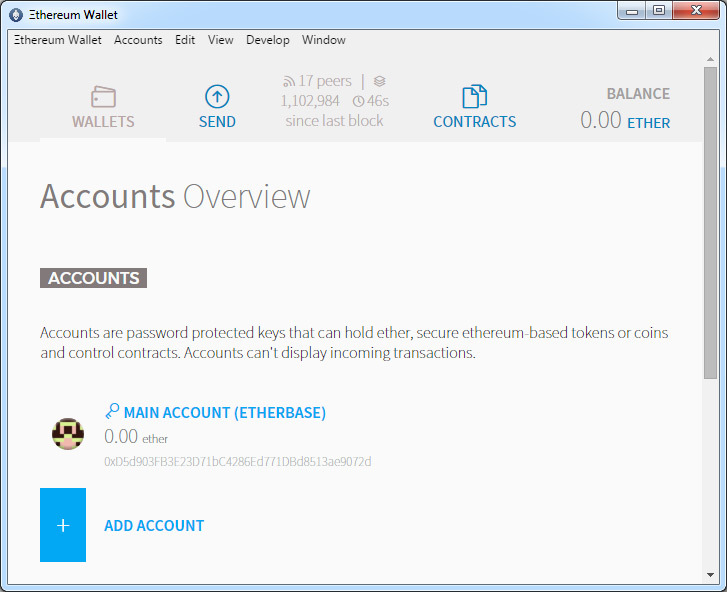 The work on the official Ethereum graphical wallet (GUI wallet) is continuing and the software is getting improved and becoming more user friendly with each new beta release, making it easier for new people to get started with ETH. The wallet relies on geth (by default) or the eth client as a backend and provides a user friendly interface with the most important information and functions available to the user without requiring him to type console commands to execute them. The latest version Ethereum Wallet 0.5.1 (Beta 9) is ready for the upcoming Ethereum hardfork as the crypto currency moves to the next phase of its development called Homestead that is planned to happen at block 1150000 or in other words in less than 50 thousand blocks. The Ethereum GUI wallet can be used as a new installation to get you started with a new wallet, it will start with an easy step by step guide to help you get started by generating a new wallet and even import pre-sale wallet if you have participated in the pre-sale and still have not imported your coins. If you already have a local wallet and were using the geth or eth console clients, then you can use the GUI wallet with your existing address and the blockchain data will not need to be re-downloaded as you already have it available locally and the GUI wallet will use it. 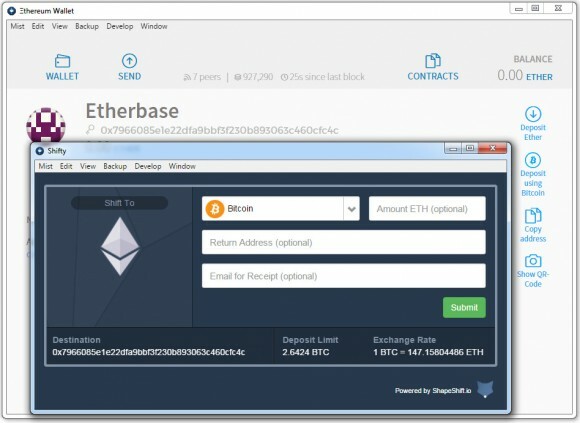 It took some time for the official Ethereum GUI wallet to become available and to offer the functionality users needed in an easy graphical user interface, but you can say that now, even thought still in beta, the GUI wallet works very well and makes it really easy for new users to get into Ethereum. The official Ethereum graphical wallet is improving and getting more user friendly with each new beta release, making it easier for people that are not very happy with the console only clients such as geth and eth. 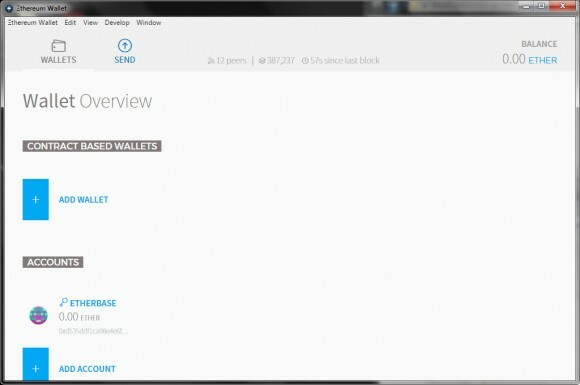 The wallet relies on geth (by default) or eth as a backend and provides a user friendly interface with the most important information and functions available to the user without requiring him to type console commands to execute them. The latest Beta 6 release makes it easier to backup your wallet by adding a menu command that takes you directly tot he folder where your wallet is being stored, so the only thing you need to do is to copy the file in a safe location. The new wallet comes with a button called Deposit using Bitcoin that invokes integrated support for ShapeShift allowing you to easily and quickly buy Ether coins and have them easily transferred to your Ethereum wallet. Although the button is called Deposit with Bitcoin you can actually use other altcoins supported by ShapeShift to purchase Ethereum with the needed support built-in right into the wallet. Another useful new addition is that the wallet will now show historical prices from the time of the transaction thanks to integration with the CryptoCompare service, so you will know what was the exact fiat value of the Ethereum transaction at the moment you have made it. Finally there is work being done on an official GUI wallet for Ethereum that is curiously hosted in the Ethereum Mist Dapp Browser GitHub repository. Do note that this is a beta release that although functional could have some issues and is some advanced functionality is still not implemented, but the idea in this release is to get user feedback and to find any bugs. This is an official Ethereum GUI wallet that currently works along a Geth client as a backend, but should also be compatible with the Eth as well. The Mac and Windows 64-bit releases come bundled with Geth node and if you are not using it already it will need to synchronize the blockchain at the first start, otherwise it should tap to the already downloaded blockchain (already over 1.7 GB size) and work with any wallets available (backing the keys first is recommended). For other binary releases you would need to have the Geth (or Eth) client already running and then launch the Wallet GUI in order for it to work. Again, since this is a beta software it is best if you try it out on a system where you do not have a working Ethereum client installed in order to avoid any possible issues. Another interesting development around Ethereum lately is apparently the start of adoption of Stratum support, there is the Stratum-Proxy for Ethereum project supported by Dwarfpool as well as the news that EthPool is working on a stratum enabled fork of Ethminer called qtminer that will be supported on their mining pool, but may get adopted by other pools. The current getwork implementation by Ethereum is not very practical and effective as compared to the Stratum implementation that is currently the standard for communication between pools and miners.